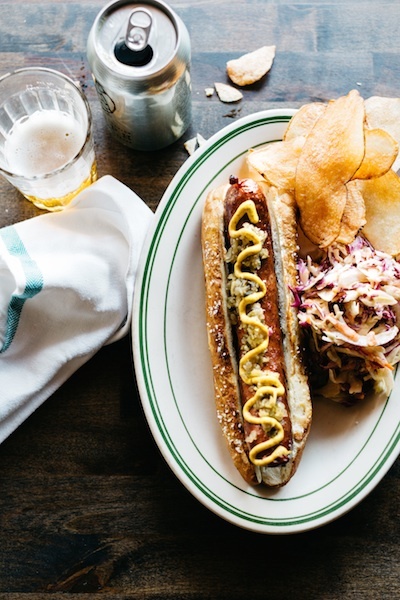 The hot dog is America’s unofficial summertime dish. Whether you’re grilling by the pool, out in the wilderness on a camping trip, or enjoying a baseball game, it’s almost certain some franks will be involved. But as we know, not all weenies are created equal. 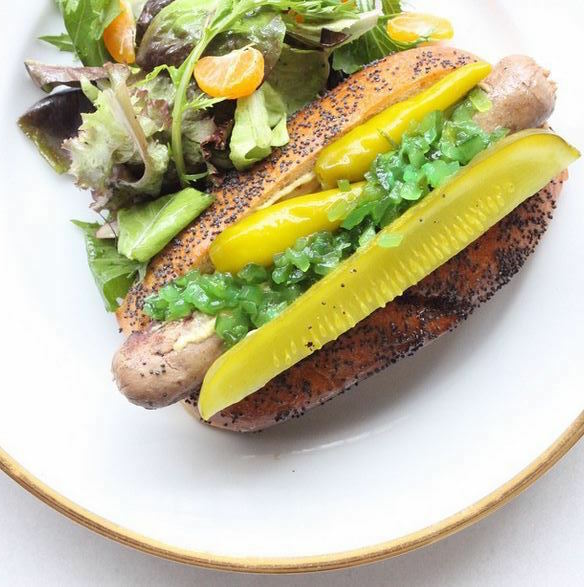 Chefs are now taking the humble hot dog to a whole new level by handcrafting every component – from the link and the bun to every type of condiment and topping imaginable. 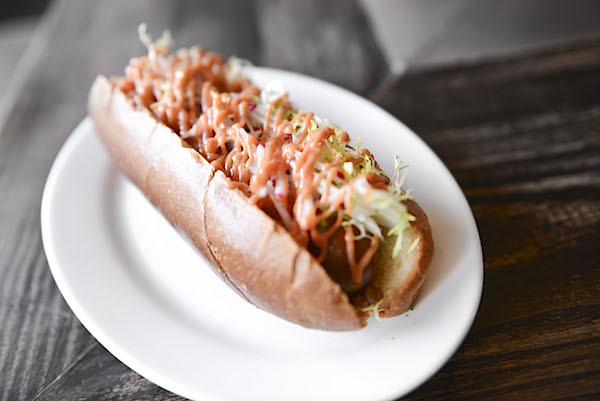 In honor of National Hot Dog Day, we present a dozen delicious must-try haute dogs from top restaurants. We love pretzel buns so much we’ve been known to compose haikus to them (Sample: Pretzel untwisted/Chewy, salt flecked brilliance/Tastes best with mustard). 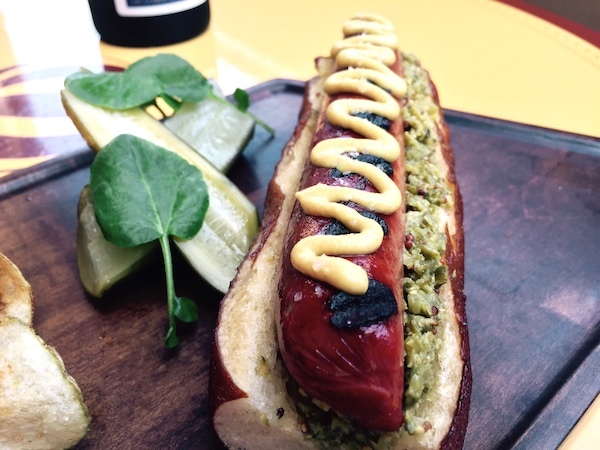 Here one of the brown rolls holds a prime chuck, apple wood-smoked hot dog crowned with cornichon relish and Dijonnaise sauce. 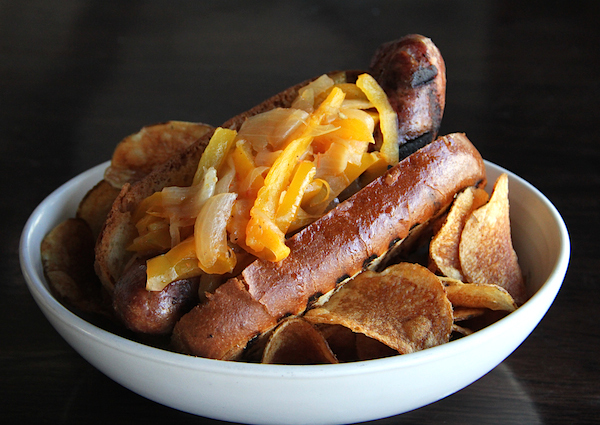 This ain’t your average hot dog. Executive chef Joe Palma handcrafts this showboat from A5 Wagyu and pork, and then finishes it off with mustard, relish, and a side of duck fat fries. Simply glorious. 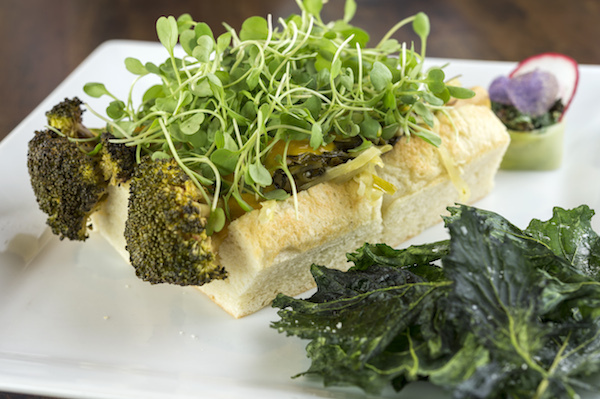 There’s no mystery meat in these broccoli dogs. Two of the verdant stalks are smoked, grilled, and quickly sautéed before they’re tucked into toasted buns. Condiments include broccoli kraut, mustard-vinegar sauce, and micro broccoli. Eat both and you’ve just consumed 800% of your daily vitamin C requirement. Seriously. You know what they say about little hot dogs? Little buns. You can choose big flavored mini franks sassed up with tomato chow-chow, blue cheese and bacon, or our favorite, chili with shredded cheddar. 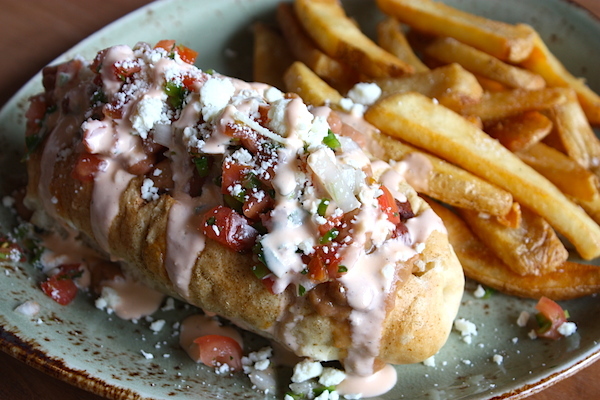 In the Southwest, frankfurter fans love a good Sonoran dog. This one showcases a Kobe beef wiener in a house-crafted bolillo bun. It’s covered in a slew of garnishes, including apple wood-smoked bacon, pico de gallo, Cotija cheese, and smoked tomato aioli. Get a taste of the Windy City down South. The Chicago dog comes in a sesame seed dotted housemade milk-bread bun pimped out with a pickle, mustard, sport peppers, and relish. 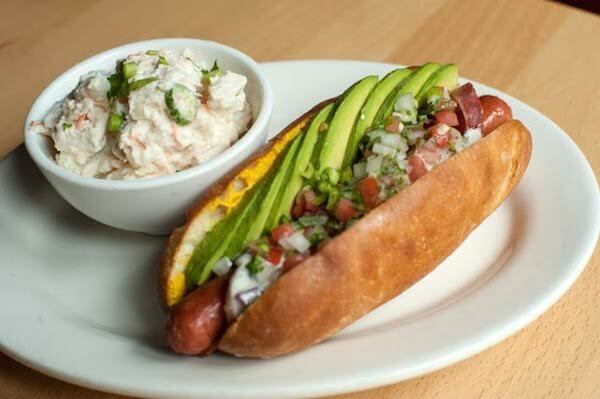 Chef Tony Maws spent more than a year creating the Kirkland dog. 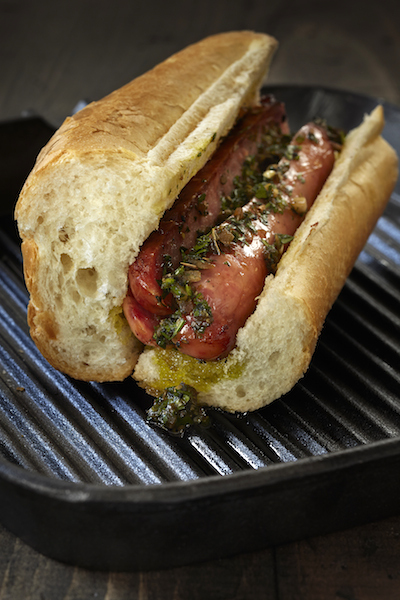 The frankfurter is forged from all-natural pork shoulder and grass-fed beef chuck and shoulder. It arrives in a house-baked pretzel bun (Don’t worry, we won’t force you to read another one of our haikus!) with spicy chow-chow and homemade yellow mustard. We haven’t watched the Miss Universe pageant in years, but we can’t take our eyes off this stunner, which shares its name. 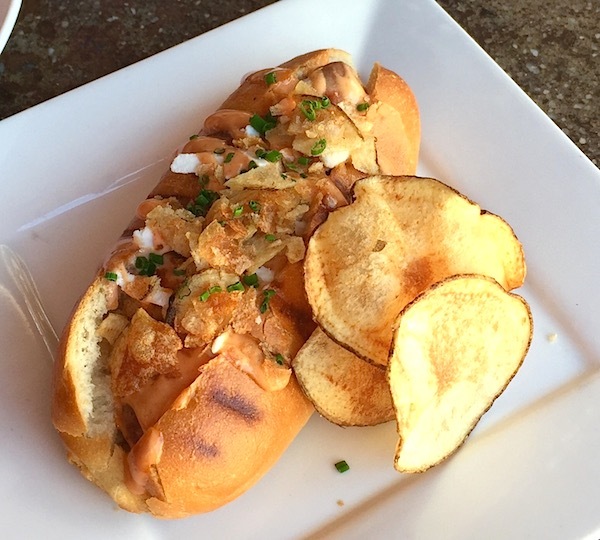 This head-turning hot dog is served Colombian-style with grilled pineapple, salsa rosada, fresh cheese, and crumbled potato chips. Its talent is that it’s frickin’ delicious. 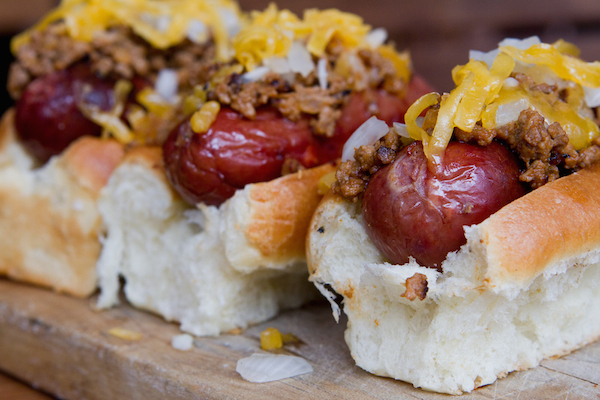 Have you had any of these haute dogs? Tell us here or over on Facebook, G+, or Twitter. 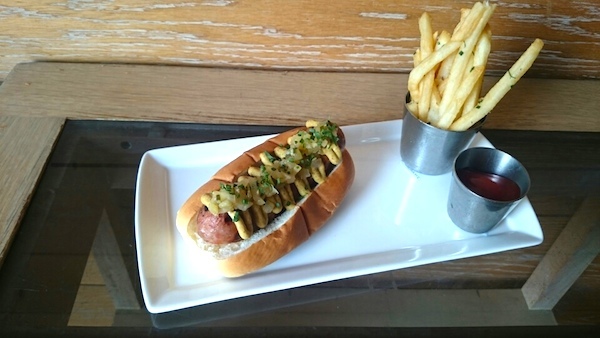 And then book a table to observe national Hot Dog Day today.